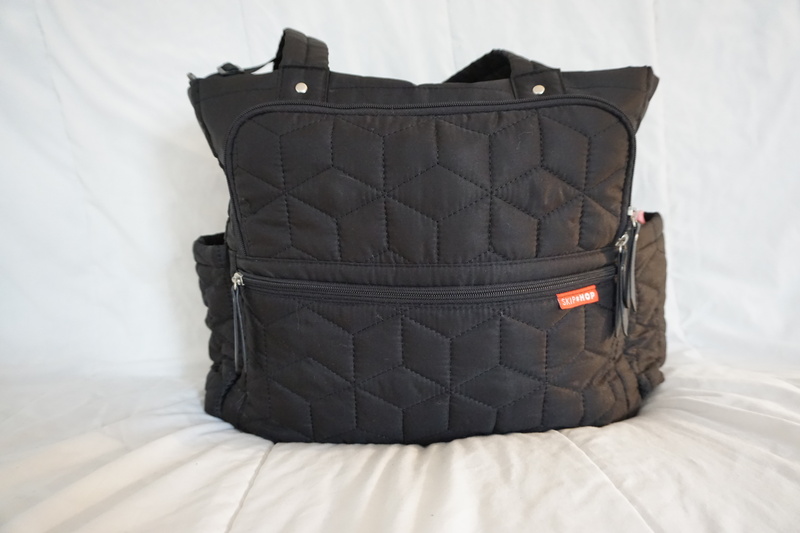 You are here: Home › Parenting › Packing A Toddler OverNight Hospital Bag! Annalee our youngest (2) has been struggling with sleeping well since November of last year. It all started when she outgrew her naps and congestion was her middle name. It recently got really complicated for her, as she was gasping for air all hours of the night. Annalee was not sleeping well at night, so we decided it was time for a check up. Our pediatrician referred us to an ENT where we quickly learned that she was suffering from sever sleep apnea. We are staying at the hospital for one night as Annalee gets a sleep test. She will also get Adenoids and Tonsils out, Ear Tubes put in as well May 19. I have the overnight diaper bag packed and ready to go. We love the SkipHop Forma Tote Bag for overnight stays and travel. It so big and fits everything you need perfect. My favorite feature are the blocks it has in the front compartment. One is a mesh bag which is great for toiletries and the insulated one is great for snacks or food. 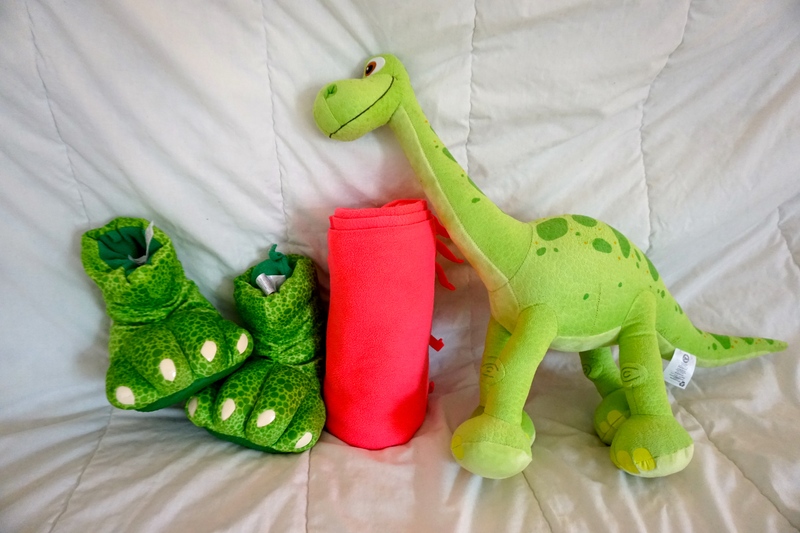 I was searching all over online for tips on what to pack, I could not find anything so decided to share what we have packed for our Toddler’s sleep test overnight hospital bag. Here is the Mesh bag filled with her toiletries. 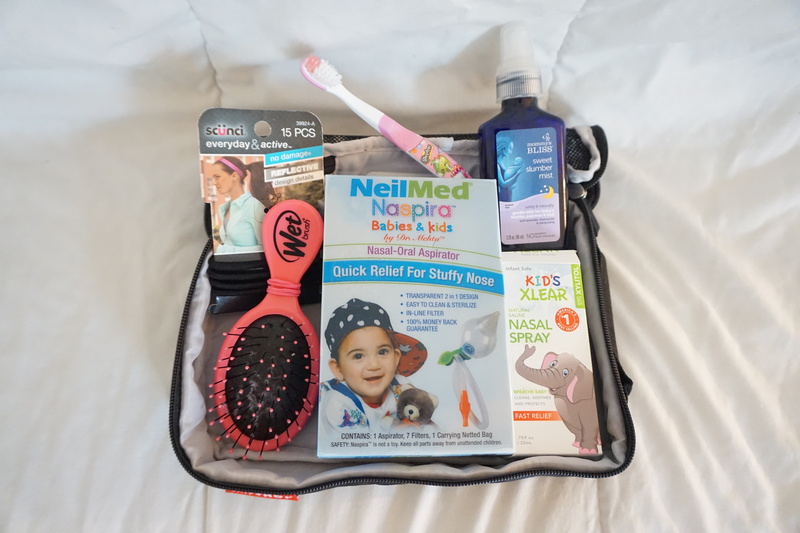 Hair ties and a brush for quick pony tail in the A.M,shopkin toothbrush, Neilmed Naspira Aspirator for congestion and relief, we have been loving the natural Kid’s Xlear Nasal Spray to wash her boogies out. The Mommy Bliss Slumber mist is a lavendar spray we use on the kids bed for soothing and to get them in the feel of bedtime. The insulated bag is holding her snacks. We wanted to bring a couple of snacks just in case she gets a bit hungry while we are there. 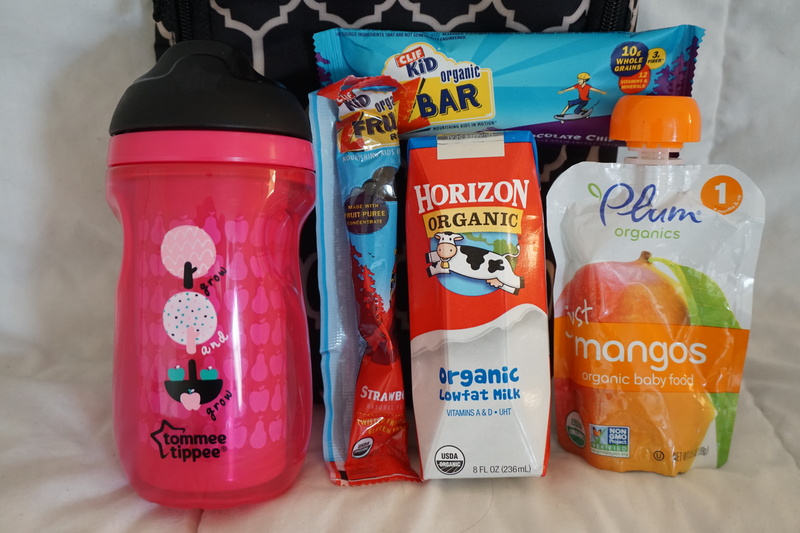 Tommee Tippee straw sippy for her water, Cliff Kid Z Bar and Z Fruit. Plum Organics Just Mangos pouch and a Horizon Milk for the morning. Diapering essentials we packed our Huggies Pull-Ups, Boogies wipes have been our best friends these couple of months as she has boogies all over face all the time. 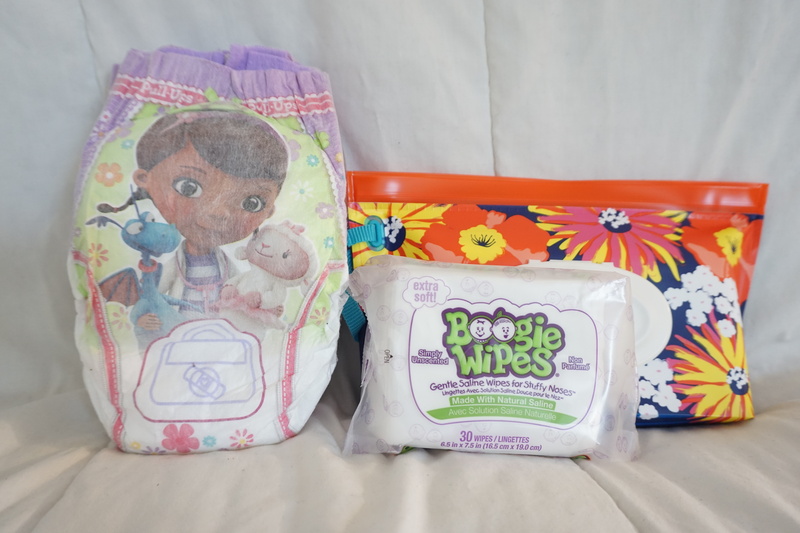 The Huggies Wipes reusable bags are great for keeping wipes compacted and moist for travels. This spring print is gorgeous. Comfy PJS are a must when your child is sleeping elsewhere. These Old Navy “Sleep In” pajamas are so cute and special for the occasion. Sleep In yea right! As far as we know Annalee will have to sleep with some cords and machines connected to her. This while be easy so to help her better cope with the technicians we brought some toddler must haves. 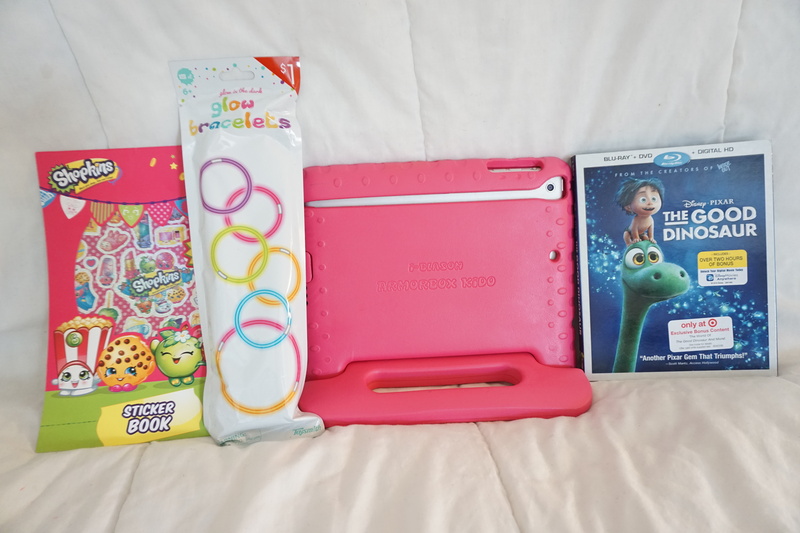 Stickers,Glow Bracelets if and when light are out,iPad so she can watch all her fav Youtube Kids, and her surprise movies The Good Dinosaur! Lastly, you want to pack all of your child’s comfort buddies. Annalee loves sleeping with her pink blanket and her giant Arlo from The Disney Store. We also wanted to add a little fun and packed her Arlo slippers for her to walk around the hospital with.